We sincerely thank you for purchasing the products of “YUANXIN”. In order to protect your legal rights and interests, we are committed to strictly comply with the national three guarantees policy to provide you with quality after-sales and maintenance services. Shenzhen Yuanxin Industrial Co., Ltd. takes Shenzhen Yuanxin Headquarters as the maintenance center, and the third-party express delivery is the transportation network, realizing the products to be repaired from the user to the source Xin headquarters maintenance center.The second time delivery to the user's reverse logistics process. The whole process takes the user experience as the core, and truly realizes the user's pleasant shopping and easy maintenance. 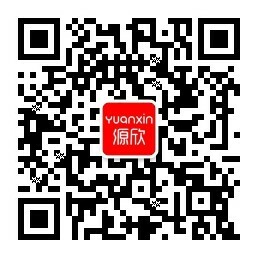 Yuanxin Headquarters Maintenance Service Policy applies to all products of the “YUANXIN” brand. The “YUANXIN” products purchased by the user are only within the warranty period. Can enjoy this service. Unconditional free warranty during the warranty period. That is, the "YUANXIN" products that meet the requirements ofthe Three Guarantees Policy can enjoy this service. 1.Customer service guidance: Users can contact us through WeChat public number or service hotline, and provide professional guidance from after-sales customer service. If it is aspare part, we will give the first time.The user sends the required parts and is replaced by the user. 2.By express delivery to the Yuanxin headquarters repair center.The user contacted WeChat public number or service hotline Yuanxin customer service to provide warranty information,we will contact the courier to pick up the goods at the first time, will send the product .Return to Yuanxin headquarters repair center, and Yuanxin technical engineers will checkand repair, after the completion of the product will be delivered to the user. Users can consult and enjoy this service through the source service national hotline/WeChat public number. 2.Non-family environment (including production and operation, commercial services, entertainment industry, etc.) use the whole machine warranty for three months (does notdistinguish between major components). Users need to provide purchase invoices, three guarantees. All expenses includingmaintenance, including but not limited to inspection fee, maintenance fee, accessory fee, courier fee, etc., are borne by our company. ⑤ Pprocessed products, over-guaranteed products. *Includes but is not limited to the above. 6.Out-of-warranty repairs, including but not limited to inspection fees, maintenance fees, accessories, courier fees, etc., are borne by the user. 7.For any of the above Yuanxin Headquarters Maintenance Service Policy Content, please contact Yuanxin National Service Hotline: 0755-27337165 or Yuanxin WeChat public number if you have any questions or suggestions. Consumables and accessories in the whole machine are not consumables. If the accessory has a problem with non-mass star problems, it is recommended that the user contact Yuanxin WeChat.The public number consults and purchases. *Yinxin Industrial reserves the right to analyze these Rules within the scope permitted by law.